Get out of town with these interesting Johannesburg side-trips: Pretoria (Union Buildings & Voortrekker Monument). Spend the 14th (Sun) spotting exotic species with a safari tour. And it doesn't end there: examine the collection at Apartheid Museum, try to win big at Emperors Palace, don't miss a visit to Nelson Mandela Square, and steep yourself in history at Mandela House. To see traveler tips, ratings, maps, and more tourist information, you can read our Johannesburg vacation planning tool . Dubai, United Arab Emirates to Johannesburg is an approximately 11.5-hour flight. You can also do a combination of shuttle and flight. Traveling from Dubai to Johannesburg, you'll gain 2 hours due to the time zone difference. Traveling from Dubai in July, things will get colder in Johannesburg: highs are around 22°C and lows about 5°C. Wrap up your sightseeing on the 16th (Tue) early enough to travel to Gaborone. On the 17th (Wed), contemplate in the serene atmosphere at ISKCON Gaborone, stroll through Mokolodi Nature Reserve, and then take in the spiritual surroundings of ISKCON Gaborone (Krishna Balaram Palace). 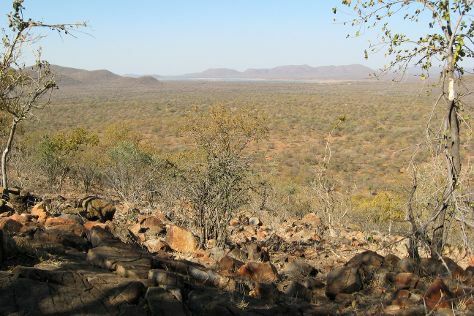 To see reviews, more things to do, maps, and more tourist information, you can read our Gaborone trip itinerary website . You can fly from Johannesburg to Gaborone in 3 hours. Other options are to take a bus; or drive. When traveling from Johannesburg in July, plan for somewhat warmer days in Gaborone, with highs around 26°C, while nights are much hotter with lows around 22°C. Wrap up your sightseeing on the 17th (Wed) to allow time to travel to Vilanculos. On the 18th (Thu), view the masterpieces at Machilla Magic and then paddle through the water with a kayaking and canoeing tour. For more things to do, photos, maps, and other tourist information, use the Vilanculos tour itinerary planner . You can fly from Gaborone to Vilanculos in 4 hours. Another option is to drive. Traveling from Gaborone in July, plan for little chillier nights in Vilanculos, with lows around 17°C. Finish your sightseeing early on the 18th (Thu) so you can travel back home.